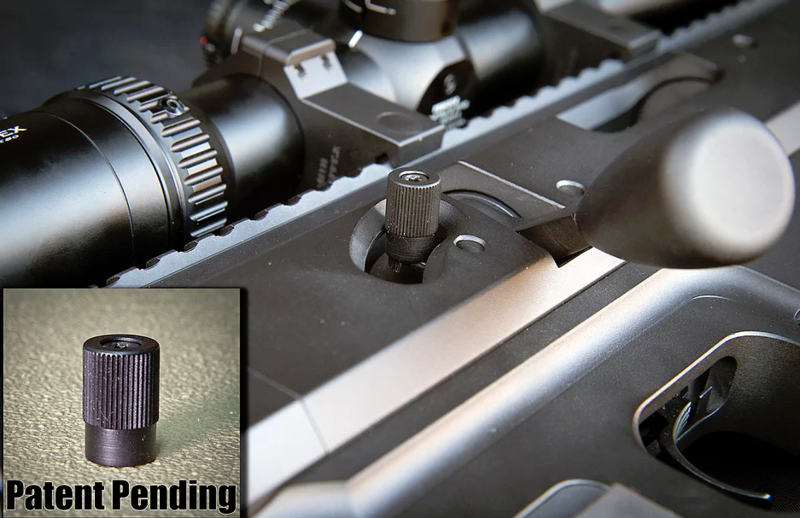 The newest item from Magnum Mike’s is a precision tactical rifle using the MDT TAC 21 chassis. Combining a Remington Barreled Action, Badger Ordinance FTE Muzzle Brake, Badger Lightweight Oversize Bolt Knob, Smith Enterprise Steel Tactical Rings, Ergo Target Grip, MagPul Fully Adjustable stock and Accurate magazine.We installed an ultra-light firing pin and dual springs for decreased lock time, then topped it with a Vortex PST 6×24 MRAD optic. The entire firearm is Cerakoted in black and sniper gray for 100% weather resistance.Now, what makes this firearm really special is Magnum Mike’s patented safety extension. Designed to be used easily, even while wearing a wide variety of tactical or shooting gloves. 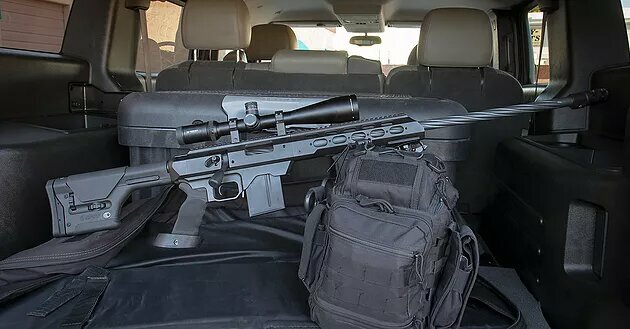 We test fired this rifle with off-the-shelf Black Hills 168 gr. BTHP. 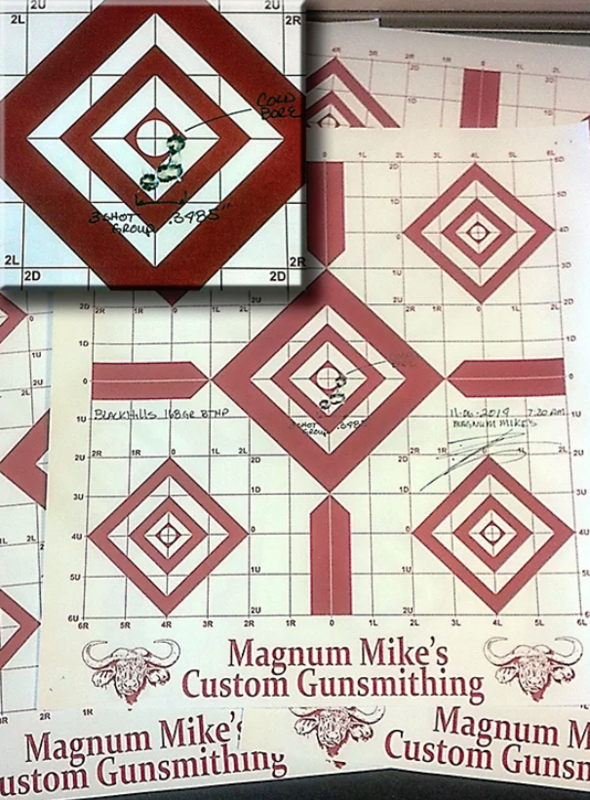 We fired the first round cold bore, then three additional rounds for a group size of .3485″ at 100 yards. Nice group for off-the-shelf ammo! This rifle can be purchased right now from Shooter’s Vault in Phoenix (602 971-8601), on GunBroker.com or have your own custom-built rifle by going to our “Contact” page and e-mailing your special request.